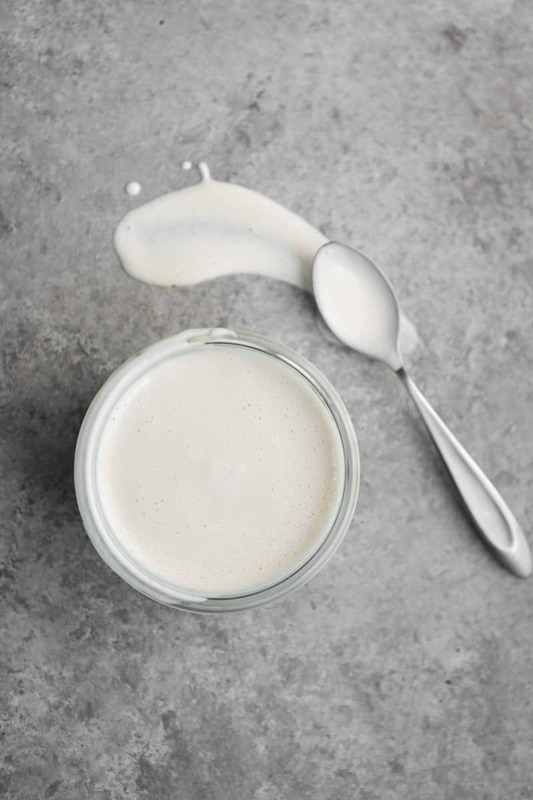 Cashew Cream | Component Cooking | Naturally. I was a bit slow to use cashew cream. I’ve never been shy about using heavy cream but over the years, my diet has tended a bit more towards vegan. 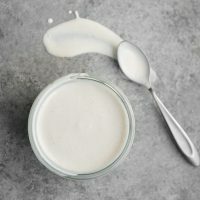 This cream is a really useful recipe whether you’re trying to eat vegan or not. 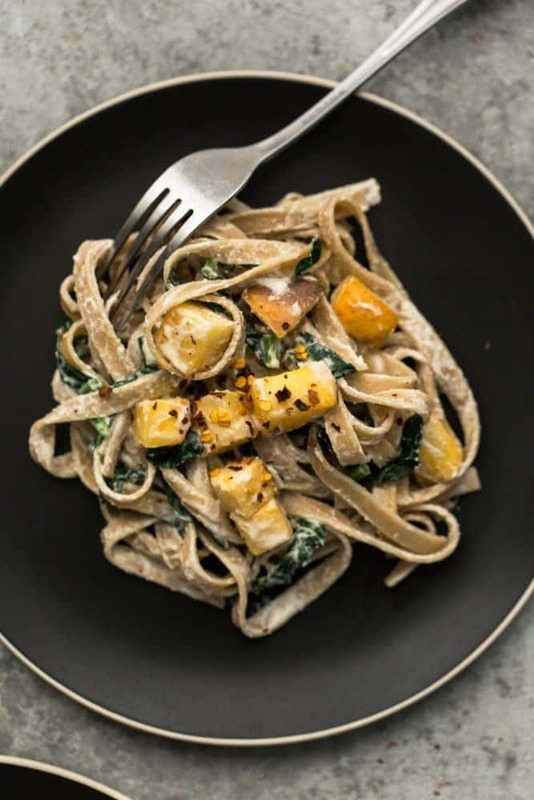 The cream sauce can be thick and used as a dip or spread, thinned slightly to be a sauce for pasta or enchiladas, or even a creamy vegan salad dressing. There are numerous recipes out there for cashew cream that call for 2 parts cashews to 1 part water. I found that for most use cases, like pasta sauce, I want the cashew cream to have more sauce consistency which means a tad more liquid. I’ve also found, with the help from a high-speed blender, long soaking periods weren’t necessary. 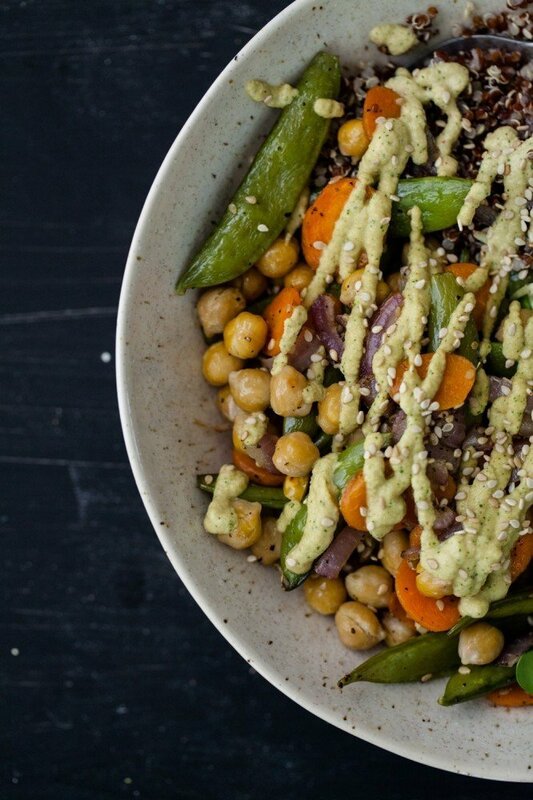 An easy vegan cream sauce made from raw cashews, water, and a wide array of mix-ins. Place raw cashews in a bowl and cover with cool water, about an inch over the cashews. Let sit for two hours. Drain the cashews and place in a high-speed blender with 3/4 cup filtered water and salt. Puree until smooth. Add more water for a thinner sauce if desired. Alternatively, place in the soaked cashews in a food processor and add water while the processor is running. Puree until smooth. Place in an airtight container and store in the refrigerator for 4 to 5 days. The sauce will thicken as it sits. Tips & Tricks: Most recipes out there call for a 2 to 1 ratio of cashews and water but I’ve found the sauce is too thick. You can start with 1/2 cup but I almost always end up using 3/4 cup water. Savory: Add a teaspoon or two of miso or nutritional yeast in place of/with the salt for an extra layer of savoriness. You can also add a tablespoon or two of lemon or lime juice. Sweet: Add a tablespoon of maple syrup or honey and a 1/2 teaspoon of vanilla. I like using sweet cashew cream with breakfast porridges or even on top of waffles. Herb: Add fresh herbs like parsley, cilantro, or dill when pureeing. You can also stir in homemade pestos. Spices/Peppers: Add a 1/2 to 1 teaspoon of smoked paprika, chili powder, or cumin to add a spice element. You can also add crushed chipotle pepper, harissa, or romesco sauce to the cashew cream. Garlic: Add crushed garlic or roasted garlic to the cashew cream for an extra savory layer. Sunflower Seeds: I like to make sunflower seeds in place of the cashews- the soaked seeds create a creamy base like the cashews. Soups: Use the cashew cream in place of heavy cream to thicken cream soups. Pasta Sauces: Use one of the variations like herbed cashew cream sauce or pesto cream sauce to toss with cooked pasta. Enchiladas: Use a spiced version or the cilantro cream sauce to top enchiladas sauce for a creamy version. Vegetables: Use a variation of of the cashew cream sauce to top roasted or grilled vegetables. Dips: Make a thicker version of the cream and use for dips with chips or vegetables. Dressings: Use a thinner cashew cream sauce tossed with lemon juice and herbs for an easy dressing. I have needed a recipe / how to like this for a long time! Finally I know not only how to make, but also how to use cashew cream. thanks Ella! I am once again, late to the party. I’ve been interested in making cashew cream for years now and have never ventured. Thanks for the inspiration!